National Health Mission Jammu & Kashmir Under Ministry of Health & Family Welfare Recruitment Notification 2018.J&K NHM inviting applications for the positions of Clinical Psychologist & Social Worker.Interested and Eligible candidates can apply for the positions. Post graduate degree holders in psychology/ sociology/ masters of philosophy can apply for the posts. Maximum age for contenders to apply is 45 years. Selected candidates as clinical psychologist and psychiatric social worker will get Rs.11,000/- per month. Based on candidates merit and viva voce aspirants will be recruited. Mode of applying for NHM J&K is through offline mode. Submit application forms by 22nd September 2018.
http://www.jknhm.com is the link for contenders to download application forms and send to below given address. 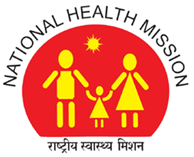 mission Director, National Health Mission, J&K.